Next week, Americans will head to the polls to elect the next president of the United States. While the outcome is unknown, one thing is for certain: There has been and will continue to be a steady stream of opinions from pundits and prognosticators about how the election will impact the stock market. As I explain below, investors would be well‑served to avoid the temptation to make significant changes to a long‑term investment plan based upon these sorts of predictions. Trying to outguess the market is often a losing game. Current market prices offer an up-to-the-minute snapshot of the aggregate expectations of market participants from the smallest individual investor to the largest investment banks. This includes expectations about the outcome and impact of elections. While unanticipated future events like natural disasters or terrorist attacks may trigger price changes in the future, the nature of these surprises cannot be known by investors today. As a result, it is difficult, if not impossible, to systematically benefit from trying to identify mispriced securities (as active stock pickers try to do). This suggests it is unlikely that investors can gain an edge by attempting to predict what will happen to the stock market after a presidential election. 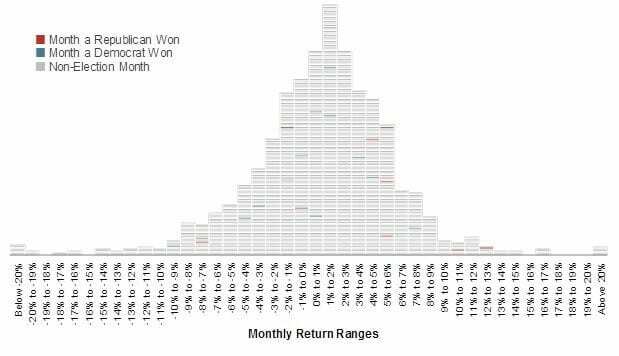 Exhibit 1 shows the frequency of monthly returns (expressed in 1% increments) for the S&P 500 Index from January 1926 to June 2016. Each horizontal dash represents one month, and each vertical bar shows the total number of months for which returns were within a given 1% range (for example, the tallest bar shows all months where returns were between 1% and 2%). The blue and red horizontal lines represent months during which a presidential election was held. Red corresponds with a resulting win for the Republican Party and blue with a win for the Democratic Party. You can see there is no discernible trend to post-election month returns and that all election month returns were well within the typical range of returns, regardless of which party won the election. Predictions about presidential elections and the stock market often focus on which party or candidate will be “better for the market” over the long run. 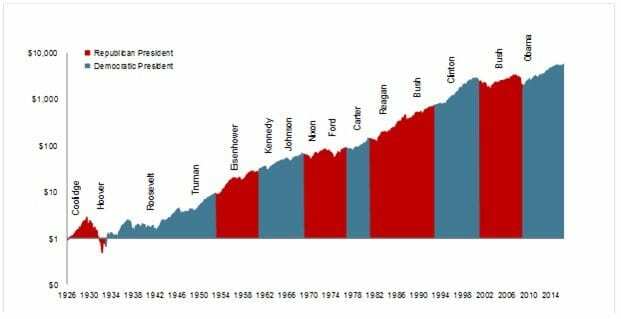 Exhibit 2 shows the growth of one dollar invested in the S&P 500 Index over nine decades and 15 presidencies (from Coolidge to Obama). Like the monthly return information, this data does not suggest an obvious pattern of long-term stock market performance based upon which party holds the Oval Office. The key takeaway here is that over the long run, the market has provided substantial returns regardless of who controlled the executive branch. Past performance is not a guarantee of future results. 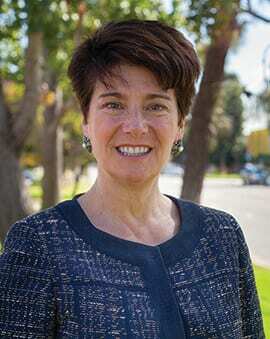 Indices are not available for direct investment; therefore, their performance does not reflect the expenses associated with the management of an actual portfolio. The S&P data is provided by Standard & Poor’s Index Services Group. Stock markets can help you grow your assets and achieve your goals, but investing is a long-term endeavor. Trying to make investment decisions—buy or sell—based upon the outcome of presidential elections is unlikely to result in reliable excess returns for your portfolio. At best, any positive outcome based on such a strategy will likely be the result of random luck. At worst, it can lead to costly mistakes. With that in mind, we encourage you to hold steady with your investment plan and rely on patience and portfolio structure, rather than luck trying to outguess the market, to pursue your investment returns. As divisive as this election has been, we remain united with you to help you achieve your goals!